Modi said India and China have displayed maturity and wisdom in managing issues and ensuring a peaceful border. 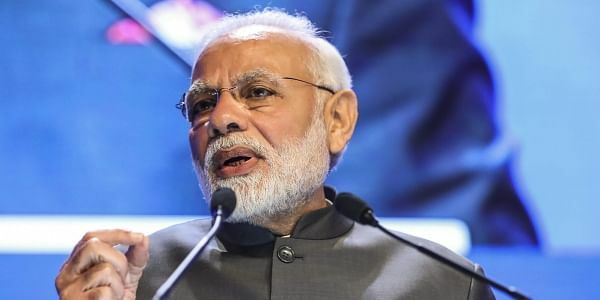 SINGAPORE: Asia and the world will have a better future when India and China will work together with trust and confidence, Prime Minister Narendra Modi said today, over a month after his first informal summit with Chinese President Xi Jinping. In his keynote address at the Shangri-La Dialogue here, Modi said India and China have displayed maturity and wisdom in managing issues and ensuring a peaceful border. He asserted that an Asia of "rivalries" will hold the region back while an Asia of cooperation will shape the century. "It is a world that summons us to rise above divisions and competition to work together," the prime minister said. Referring to regional maritime issues, Modi said India does not see the Indo-Pacific region as a strategy or as a club of limited members. "India stands for a free, open, inclusive Indo-Pacific region, which embraces us all in a common pursuit of progress and prosperity," he said. He further said, "We believe that our common prosperity and security require us to evolve, through dialogue, a common rules-based order for the region." On issues relating to trade, Modi said India stands for an open and stable international trade regime. "Competition is normal. But, contests must not turn into conflict; differences must not be allowed to become disputes," he said. Modi and Xi had held an informal summit in Chinese city of Wuhan in April last week during which they exchanged views on solidifying the relationship between the two Asian powers. PM Narendra Modi is right; but how do you deal with expansionist China which has issues everywhere from the South China Sea to Dkolam?